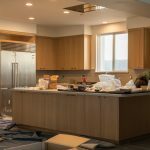 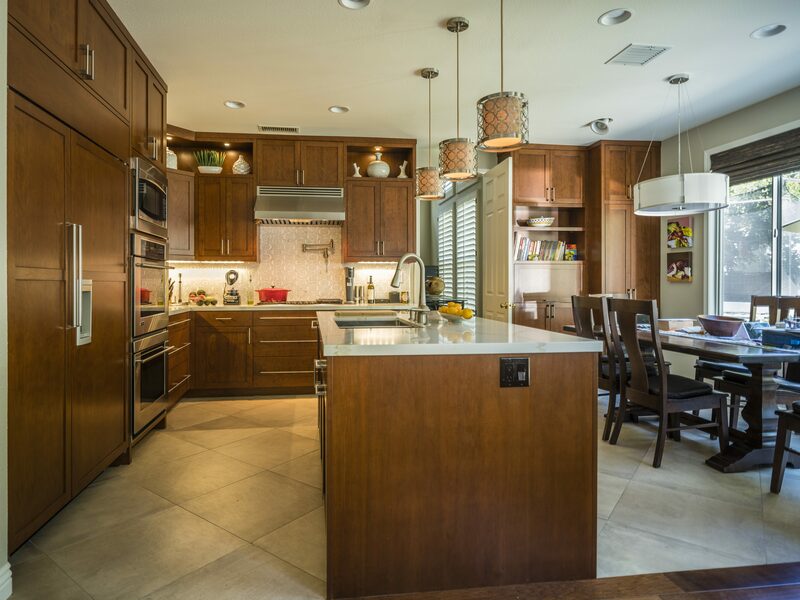 The kitchen cabinets are fabricated using solid cherry. 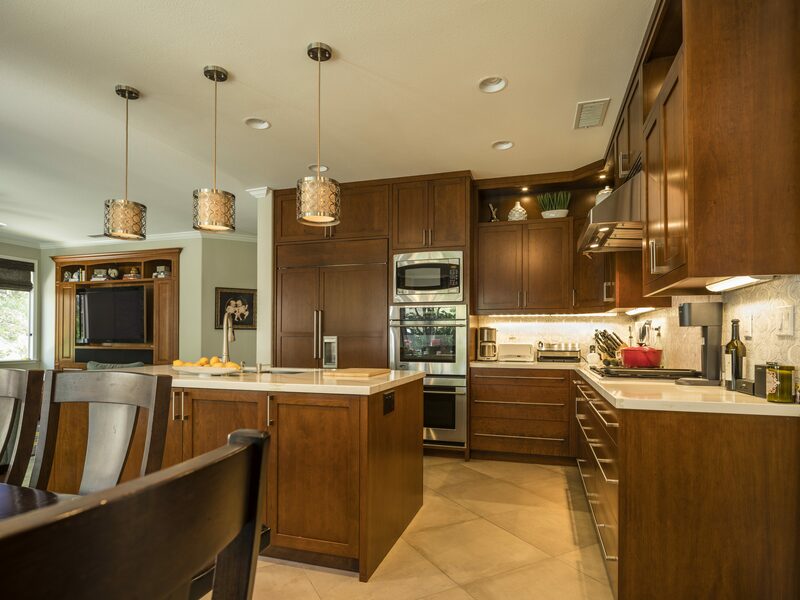 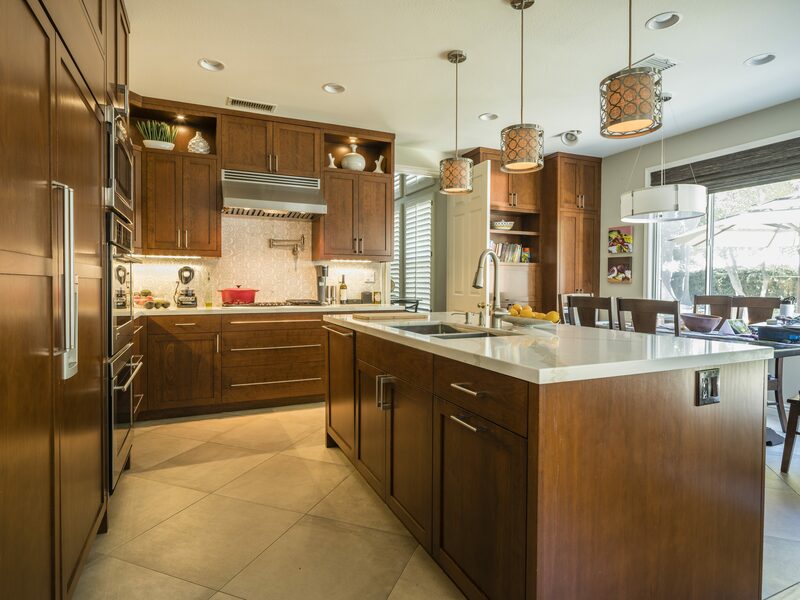 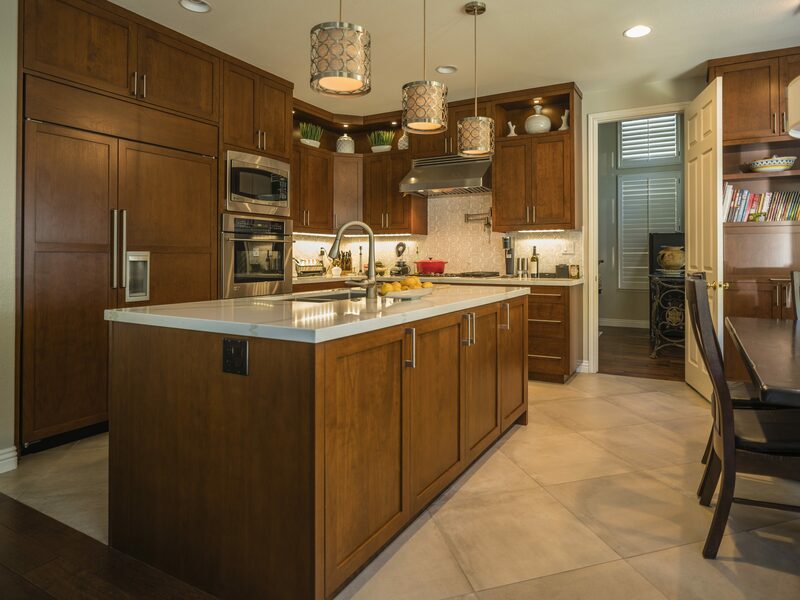 The shaker style with the modern bar pulls gives this kitchen a transitional feel. 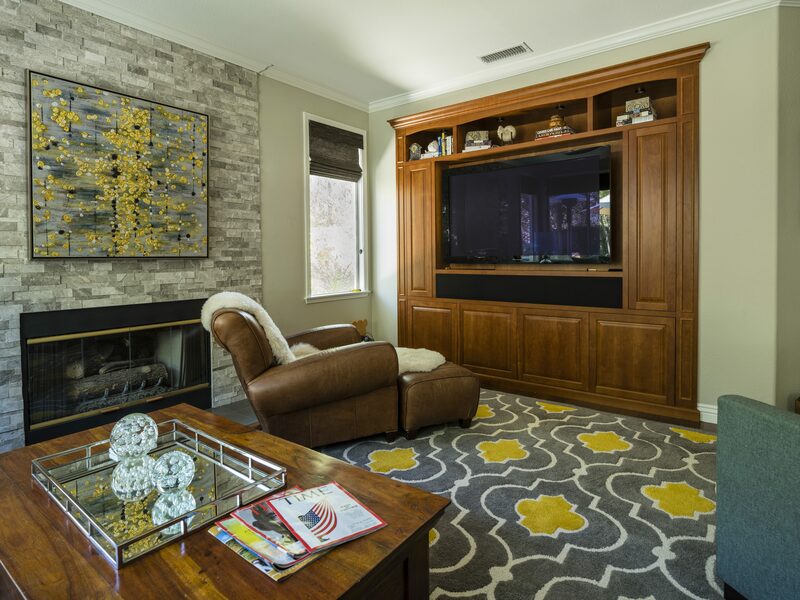 The family room built-in home theater cabinetry is a bit more traditionally styled with raised panel doors and subtle molding details.